Hour of Code at SHS! December 8th-14th is officially Computer Science Education Week! In order to celebrate, students from the class of 2019 participated in Hour of Code during their digital literacy class. This program is designed to cultivate an awareness of computer science. Computer science drives innovation in the United States economy and society. It helps nurture problem-solving skills, logic and creativity. 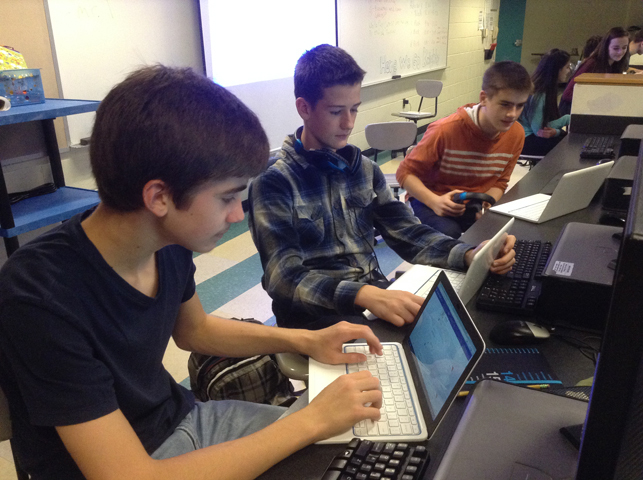 Hour of Code is an opportunity for every student to try computer programming for one hour. We are hoping to help students understand not only the importance of computer science in education but also what coding is all about! This is also a great opportunity for our students to decide to take the “Introduction to Computer Science & Programming” course the following year. Many students who typically shy away from coding, because of a lack of understanding what it is, are enjoying the activities in Digital Literacy this week!